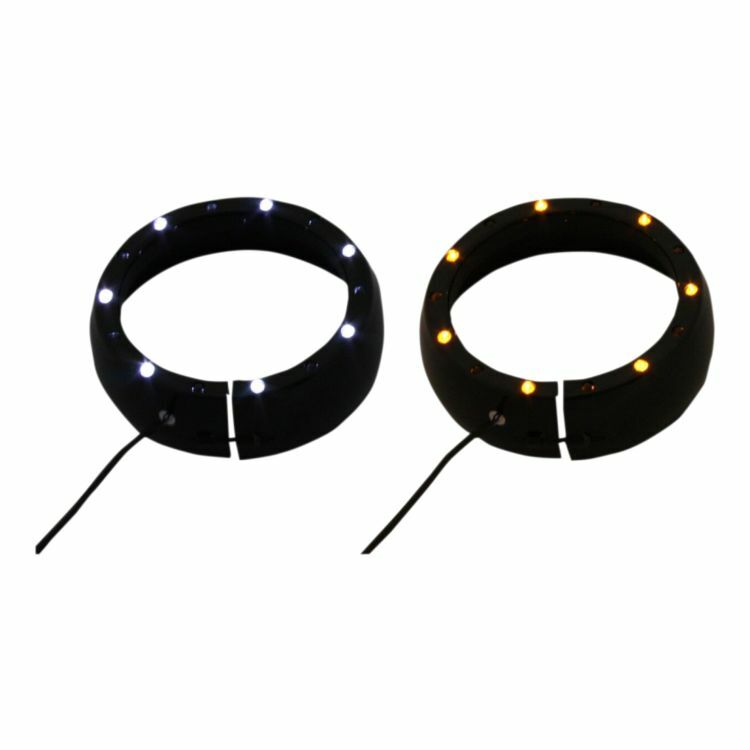 Custom Dynamics 4 1/2" LED Passing Lamp Trim Rings contain 7 White LEDs that stay on as a running light and 7 Amber LEDs per side that blink as left and right turn signals . When the turn signal is activated the white LEDs turn off to give greater visibility to the amber turn signals. Note: Trim ring only; passing lamps required and are OEM equipment or are sold separately.